"Experience is a hard teacher because it gives the test first and the lesson afterwards." "No" = "convince me. After "no" comes "yes" but to get there, one must persevere. "Failure is what happens on the way to success." "Crisis is an opportunity riding on a dangerous wind!" "A turtle moves ahead only by sticking out its neck." "The mind is like a parachute; it only works when it's open." The beginning of the Summer comes with great promise and heat ... let's warm the paths of success as we move forward ... and adopt the most personally resonant of the above parables. Autonomy may seem like the watchword when it comes to fees, but that is not entirely true. 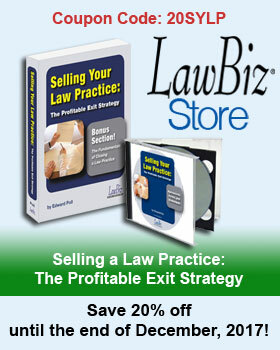 Although a lawyer does have a lot of latitude and independence in terms of pricing, ethics is also a consideration. So, are lawyers who charge $1,000 an hour "reasonable"? How about $100 an hour? The question of fees is important, far beyond the mere question of bread and butter involved. Properly attended to, fuller justice is done to both lawyer and client. An exorbitant fee should never be claimed. As a general rule never take your whole fee in advance, nor any more than a small retainer. When fully paid beforehand, you are more than a common mortal if you can feel the same interest in the case, as if something was still in prospect for you, as well as for your client. And when you lack interest in the case the job will very likely lack skill and diligence in the performance. Today's environment for lawyers is different than then. And whether we seek an hourly fee or a fixed/flat fee, the client must still perceive that he/she is receiving value for the engagement.